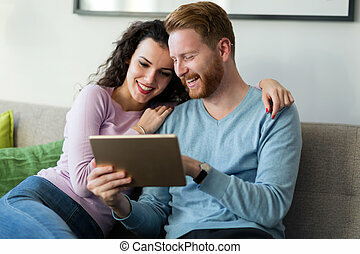 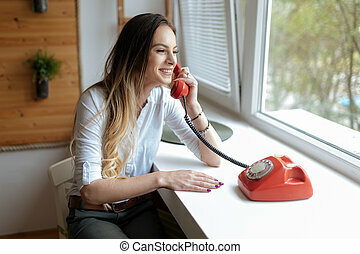 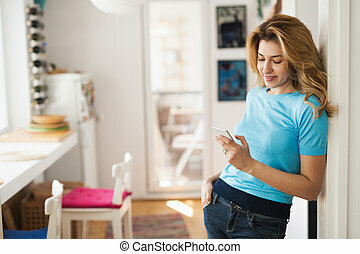 Beautiful woman using tablet at home. 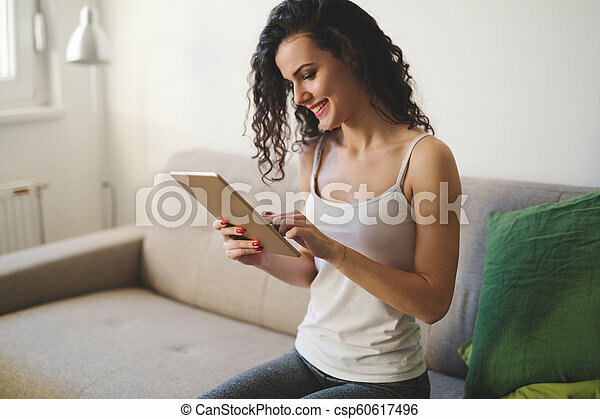 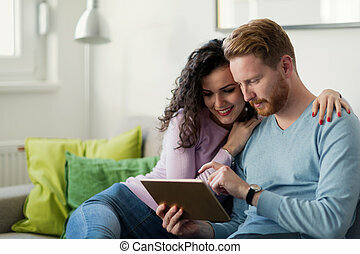 Beautiful woman using tablet while sitting on sofa. 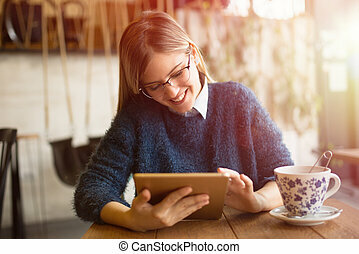 Close up portrait of young beautiful woman at home using tablet.